You know who Mission Alaska is going to vote for! Check out the interactive map on National Geographic’s webpage for Ultimate Survival Alaska. Scroll to the bottom and make your vote heard for the number one fan favorite! The premier is May 12th at 10pm EST, don’t forget to tell your mom happy mothers day! Here is the link to cast your vote. 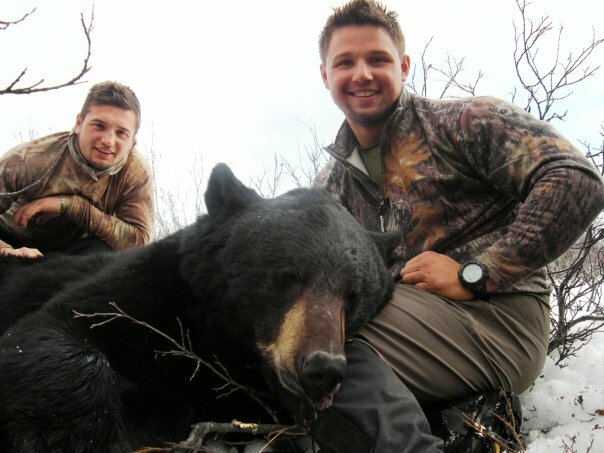 This picture is from August’s and my 2009 spring bear brother hunt. August and I, (as well as videographer Jon D) took to the spring hunt as if it was our last. We hunted six hard days, deep in the Alaska wilderness and managed to harvest this beautiful black bruin on film. Bears taste better during the spring, as they have yet to change their diets to the salmon runs of summer through fall. August and I would eat plentifully off of bear backstrap after this harvest as we were nearing the end of our food supplies. 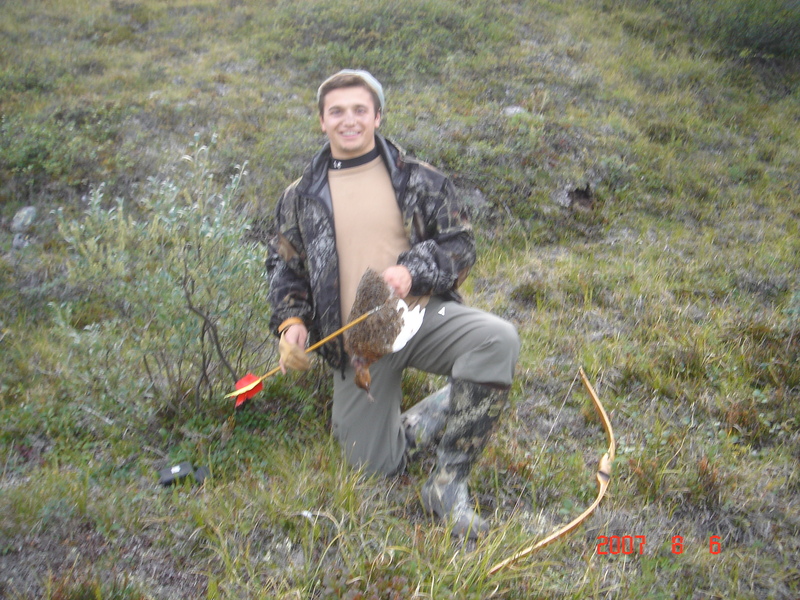 I’ll be partaking in the traditional Alaska spring bear hunt again during this 2012 season. 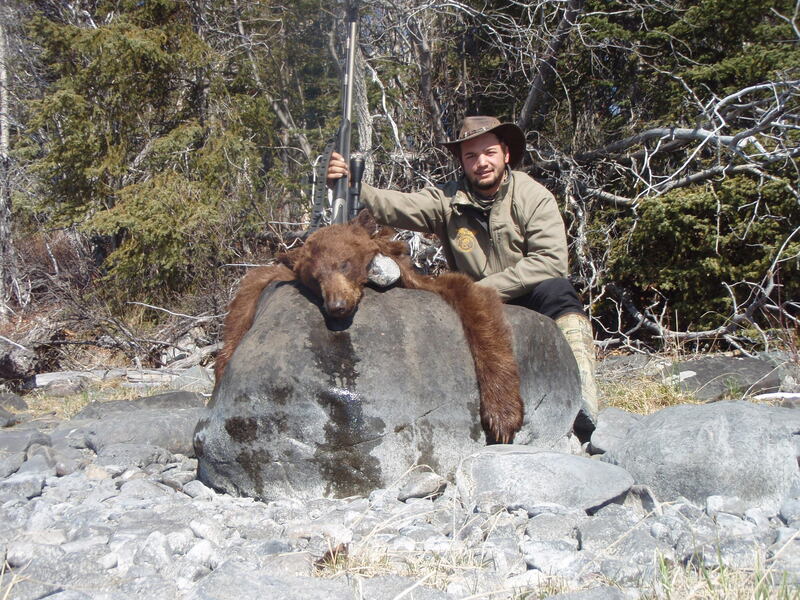 To some hunters in Alaska, bear hunting is part of their culture. I am proud to say that this tradition of spring bear hunting in Alaska has shaped my culture and parts of who I am as an Alaskan. Every year since the sixth grade (12 years ago), I have been gifted the ability to hunt bears in Alaska. This is a blessing to be apart of such an awesome outdoor culture. I can’t wait to head to the field. DA PRO owner Austin Manelick pictured with Major League Baseball MVP Texan Ranger Josh Hamilton and family. D_A_ PRO LLC is a full service media marketing provider, specializing in filming of remote and extreme shoot locations. DA PRO’s, enlist a full staff of professional videographers willing and ready to shoot HD footage in the hardest most unforgiving terrain possible. State of the art High Definition filming and audio recording equipment travels with each member of our globally experienced team of videographers. D_A_ PRO, LLC is the next generation of video production, bringing revolutionary visions to the television industry. Follow this YOUTUBE link to watch the production highlight video a sample from the D_A_PRO LLC Library. -THE PREMIER FRONTEIR PRODUCITON COMPANY. If you have been reading missionak or following at all, then you would know that MA is all about the next generation and spreading the word on how “cool” the outdoors is. I have been talking with every person I know personally and contacting all of the youth I have met over my lifetime of friendships, in attempt to spread the good word of the outdoors. Men enjoying the culture of the great outdoors. I want to thank all of the readers and followers of Missionak, since summer of 2011 MA has grown greatly and viewer numbers are through the roof! I want to thank you again for following and reading my personal message to the woodsmen in all us. 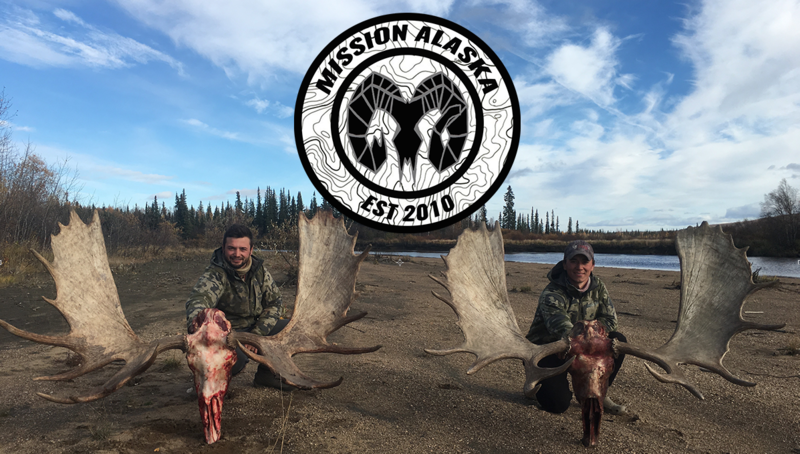 If you have or feel like you want to be more involved on missionak.com, please feel free to do so, in fact please help me! Once again, I would love for anyone to send me interesting photos they have found on trail cameras, taken on hunts, taken on fishing trips, taken on antler shed hunting trips. Tell me a story, it doesnt have to be a trophy buck that you have taken I would be just as happy with a picture of a readers first deer harvest of a doe than of a monster 10pt buck. I want to connect with my readers, help me! SEND ME PICTURES AND STORIES!!! Ever since my father took me trout fishing in a local stream after my first day as a kindergartner at Pioneer Peak Elementry School, I was hooked for life. I had recieved a new telescopic (totally BA) trout fishing rod set up and I could not wait to test my new implements of attack upon the majestic rainbow trout. My dad picked me up after school and we headed to Wasilla Creek. It wasn’t too long before we found ourselves 50 yards from the road, in a perfect trout hole. My Dad rigged me up with a small spoon lure and told me to cast in the dark, deep hole behind the log…. I did so expertly, as if I had been a bass master my entire 5 year old life, after my third of fourth perfect cast I felt my pole tip jerk directly toward my line..
What happened next was almost unexplainable, to this day I still have a hard time finding words for it. My tiny stomach lurched forward and downward at the same time, and for a split second I swore I was levitating. For a brief moment, my body seemed to have defied gravity. I did not know what was happening but I knew I had a trout or something on my line and I did not want it to get away. After landing the trout my dad and I shared a moment of silence and awe at that little trout flopping on the bank. My body let me feel the ground once I got a hold of my very first self caught trout. My body experienced one of my first adrenal highs. I didn’t know what it was at the time, but if fishing could give me that knee shaking experience….then I would catch more fish!!!! 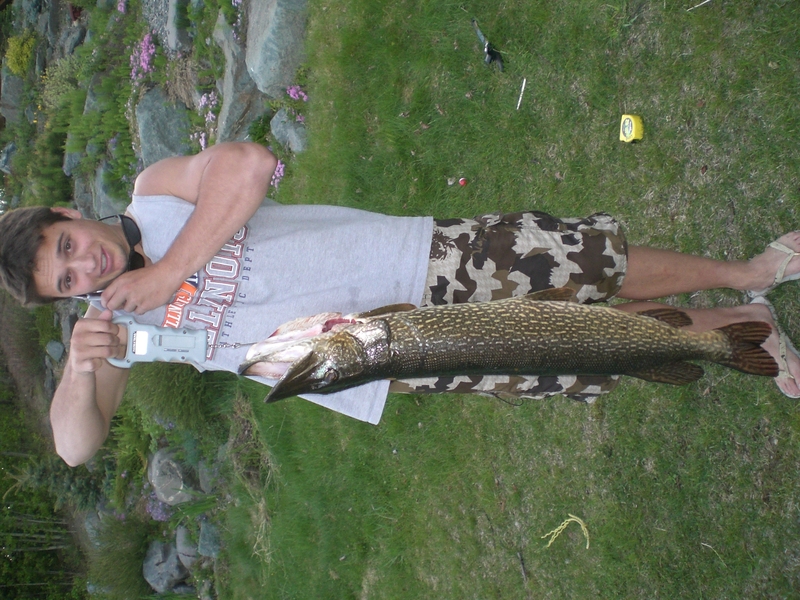 At a very young age I knew I was a thrill seeker, and believe it or not fishing gave me that thrill. It was only later that I experience hunting for the very first time, which brought the thrill to a completely different level. Everyday after school, between sports and home work, I would head to the woods or the streams carrying my fishing pole on my mountain bike. Later that bike would become an ATV.. Yeah sure I had video games, but getting to the next level was not gratifying for me because I knew the next level would always be there and I would always be able to beat the game. There wasn’t too much fun in video games for me, deep down when I played them, I knew there would be a monster trout sitting under that log that I wasn’t fishing. The outdoors was a challenge for me, every time I left the house I knew I would have to be clever enough to outsmart a fish or a squirrel. My next personal metaphoric “video game level” would be my next small animal target, or my next dream hunt for Moose or Dall sheep. After many years of small game hunting, I wanted to challenge myself, I wanted to to start hunting big game animals. I will not tell a lie, the outdoors gratifies me beyond words. The only way to break the experience with nature down such as catching a fish, harvesting an animal, or even seeing an animal, is the chemical response in the brain linked to adrenal release. Adrenaline so to speak is what I chase, this chemical is released when your “rod tip jerks” or when you spot a grey squirrel and you’re hunting for dinner, or when you’re hunting for bull moose and a trophy 60 plus incher walks out with a rack thats wider than a door frame. Your body’s natural instinct is to release this super human chemical giving you seemingless power, you must seek a thrill to experience it. The harvesting of an animal is not the thrill, I get just as much satisfaction releasing a 26 inch rainbow trout as I would harvesting and eating the fish. The kill is not as important as outsmarting the game animal, for instance letting a legal but small antlered animal walk by you instead of needlessly taking a life just because you can. The taker of a life involves maturity and respect for the animals as well, close relationships are formed with the animals we pursue. A last second buzzer beater, a half court 3 pointer shot with no time left to beat the other team, that feeling as the ball goes in the hoop is a similar feeling to the experience of catching or harvesting an animal. I don’t discriminate. I follow each U.S. state Fish and Wildlife regulations and within law, pick several legal game animals to pursue whether it’s big game or small game the thrill is the same. 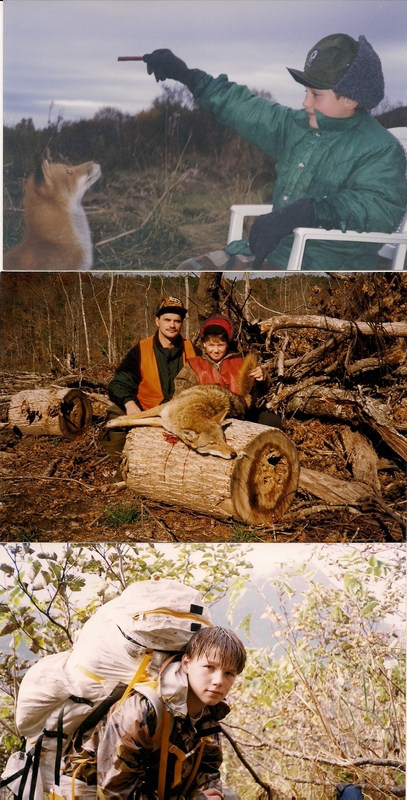 I have been an accomplished big game hunter most of life, in part to a father who at one time was a Master Alaska Guide. We have hunted both big and small game together and to me the adrenaline rush is nearly the same. More exciting to me than hunting or fishing for myself, is sharing the sport with someone new, sharing the experience (the rush) of animal encounter with someone who is interested. This last winter I decided to take my best friend and high school sweetheart Jordan Pokryfki small game hunting. In high school her father, Vince, would teach us how to make port orford cedar arrows and osage orange self made D-bows. We both had a love for the bow and making beautiful arrows, it was now time to put these arrows to action in the next challenge. Noticing that Jordan was deadly with a bow I suggested we purchase a hunting license together, she asked me if we could actually hunt legally if she had purchased the license. 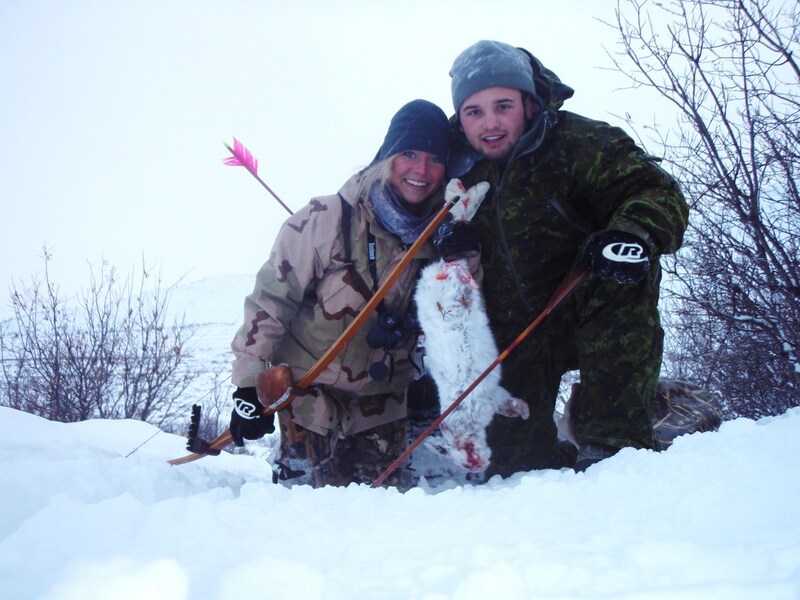 I told her yes we could hunt small game (Snow shoe hare, ptarmigan, red squirrel, and spruce hen)because thats the small game open this season and off we went. Our first time out, we definitely looked deadly, however we spotted no bunnies during our snow shoe adventure. Un-deterred we decided we would head back out to a different bunny hunting location the following weekend, and this time we would use snow machines to get further from the road and deeper into bunny country. One bunny, one zwickey doubled bladed broad head. Our new game plan, using snow machines to get further into bunny country worked! Jordan and I would succesfully harvest several bunnies this day, and had a blast doing it. Jordan liked it so much we decided to go the following weekend to the same place, this time we would bring her dad and have equal success. What a beautiful Alaskan winter day, an amazing moment. Like I said, I don’t discriminate in the adventures I go on, the satisfaction I received would only be comparable to the happiness of Jordan and her first successful hunting experience. Seeing Jordan come to full draw with her home made refinished bow as bunnies zoomed through the willows, would bring me to a full draw smile and many awesome memories. This year big game hunting is essentially coming to a close, and the populous of hunters are beginning to find themselves in a hybernation type pattern. This is the exact time when the hard yards are earned help you have succusfull 2012 hunting season. If you have ever dragged a deer from the woods or packed out a bull elk, or bossed up a 200+ pound moose hind quarter then you know that you must be in not the best, but a pretty good shape to safely bring your quarry from the field. It’s to often that you hear a hunter tell a story of how he busted his ankle, or threw his back out, pulled a hamstring, the list of injurys goes on and on. Being healthy and fit for the outdoors can only help to make you a more successful hunter, going further to help you get to that secret spot you only wish you get during the rut. No matter if your a tree stand whitetail hunter or a back country elk hunter, being in shape both mentally and physically are factors playing into a successful hunting season. Besting game this day an age takes hard work and perseverance, this is why I enter my hunting seasons as a professional athlete would enter his pre-season training camp. Camp and Caribou on back. I begin my pre-season hunting workouts during the winter, starting with an alternate cycle of a month of heavy weights with light conditioning such as non-weighted hikes or back country snow boarding hikes. The second alternating month is an anaerobic high intensity high repetition excercise which is a simliar variation of the popular work called CrossFit. Crossfit, focuses on a combination of different excersise in non-step repetition with little to no rest between exercises. I made up my own variation of cross fit and p 90x, I like to call my workouts Wilderness X because its a combination of the outdoors with functional workouts. 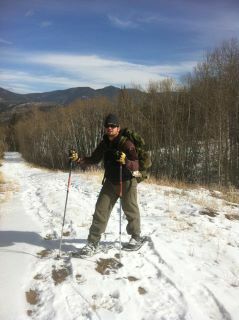 The work out is similiar to what a hunter would go through during his time in the field(think spring bear on an Alaska hunt deep snow), I begin a snow shoeing hike with a weighted pack and enter one mile onto a pre-designated national forest trail in the middle of no-where Colorado. Once a mile up the trail I pulled out my 40 pound dumbbell and begin the work out doing a combination of 5- 10 exercises between 15-30 repetitions each. Once I finished this I would pack my weight away and hike back to the base of the hiking trail. This work out mimics a spring bear hunt by placing the hunter in a game time situation such as a bear that is spotted, then stalked, then harvested. Long periods of heavy walking with a pack leading into several high intensity moments followed by another long period of walking. This one way I prepare myself for success, some would call it a little crazy but each hunter has there superstitions. How do you get ready for your hunting season? Do you work out or go through some other form of ritual? To each his own, what has helped you have you most successful year ever, and what will make you have the most successful 2012 season? Stay tuned for the next post, the youtube video of the actual work out. This picture was taken last August during the Dall Sheep portion of my 30 day hunting expedition. Who would have thought we would find mountain caribou at the summit of our Dall Sheep Mountain, apperently the mountain caribou are just as nimble as sheep or goats. We ended up spotting 70+ different sheep with only five rams among those numbers, none of the rams would be “full curl” and deemed legal to harvest thus we ended up striking out on this sheep hunt. However, we did get some awesome footage of animals and a grizzly bear charge on film, check out the grizzly charge on youtube.com at this link Grizzly Charge. Primitive Archery: Whats your method? Stalking animals with primitive archery equipment takes stealth to a whole new level. 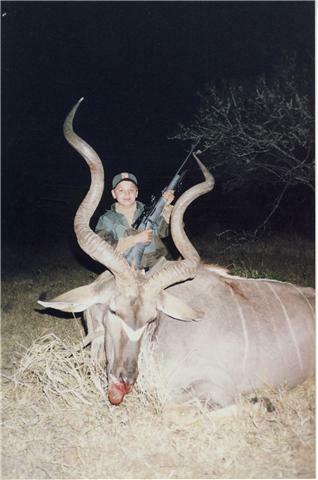 An animal taken with any kind of archery equipment is, in my opinion, a true trophy. 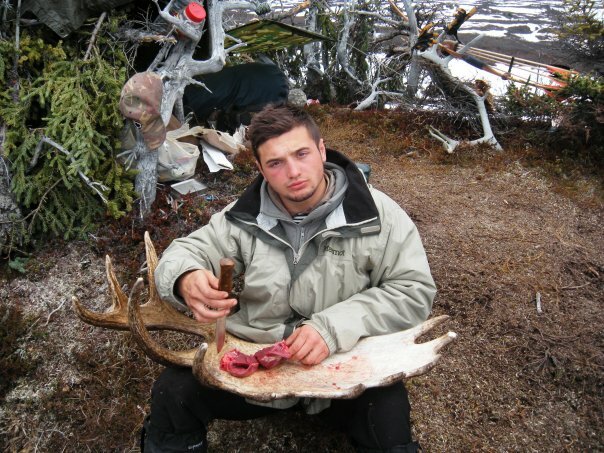 An animal taken with primitive equipment means dinner, not to much argument with food on the table. Any legal hunting means to ethically harvest an animal should never be discouraged, to each his own. Respect other hunters, fishers, and outdoorsmen methods as you would enjoy others to respect you. Compound archery, traditional archery, primitive archery, rifle hunting, muzzle loader hunting, or even spear hunting try to enjoy others successes regardless of take method. This clip is of a grizzly bear charge in central Alaska during an expedition style hunt for Alaska’s big 5 animals. This charge happened to be in the middle of our 30 day expedition on our second leg of the journey, the Dall Sheep portion of our expedition. Having no All Terrain Vehicles to take us 10 miles off road to the base of our dall sheep mountain location, we decided to use manual man power and the use of mountain bikes to get to our base camp. These mountain bikes provided a stealth like entrance to our Dall Sheep location, we biked upon a wolf and several bears during our bike ride. The squeaking wheels and rusty bike chains seemed to bring the bears to us! The bikes worked dually as a predator call and a deadly mode of transportation. This clip sent chills down the camera mans spine as he realizes that the only thing protecting him is the camera he’s holding in his hands. No doubt, this encounter could end fatally be sure to watch this heavy action moment when the host stands his ground in attempt to not become part of the bears lunch menu.